Review: A group of explorers travel beyond this galaxy to discover if mankind has a future among the stars. 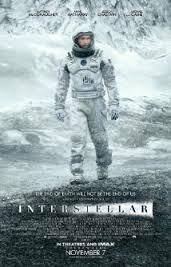 Once again great directing by Christopher Nolan but not one of his best films. Very long in places. It is well over 2 hours.There are some scenes in that didn’t need to be in and some scenes that could have been shortened. I did find this a very shocking and emotional film for several reasons. You would have to see the film to understand. Hans Zimmer has done the music and thought that it is the film’s main strength. Christopher Nolan cast Matthew McConaughey after seeing his performance in Mud. This is the 6th collaboration between Michael Caine and Christopher Nolan. While filming in Iceland Anne Hathaway suffered from hypothermia. This won one award at the Bafta’s and that was for Special Visual Effects. At the Academy Awards this won one Oscar and again that was for Visual Effects.